All aboard the surfmobile! 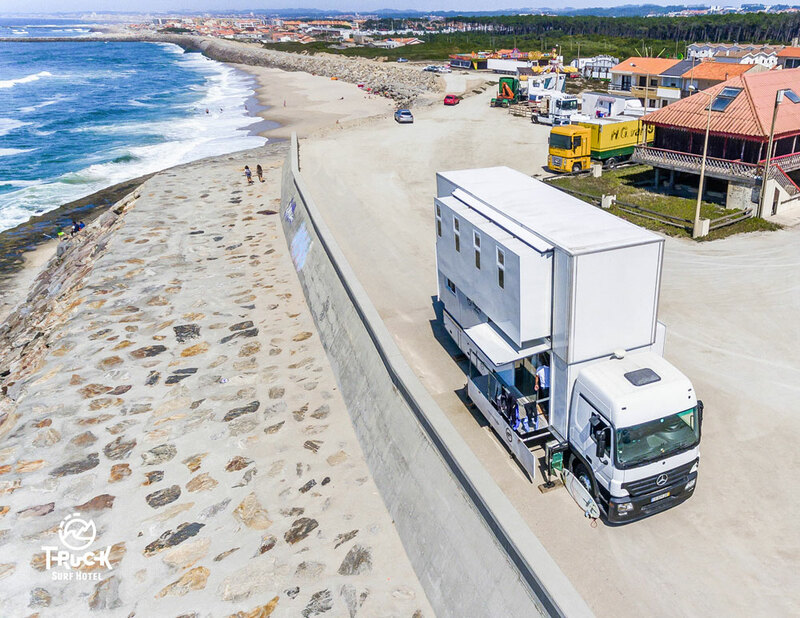 The Truck Surf Hotel, as sweet in purpose as it is in design, takes passengers on weeklong trips interspersed with riding the roads of Portugal or Morocco, and the waves of the Atlantic Ocean or the Mediterranean Sea. 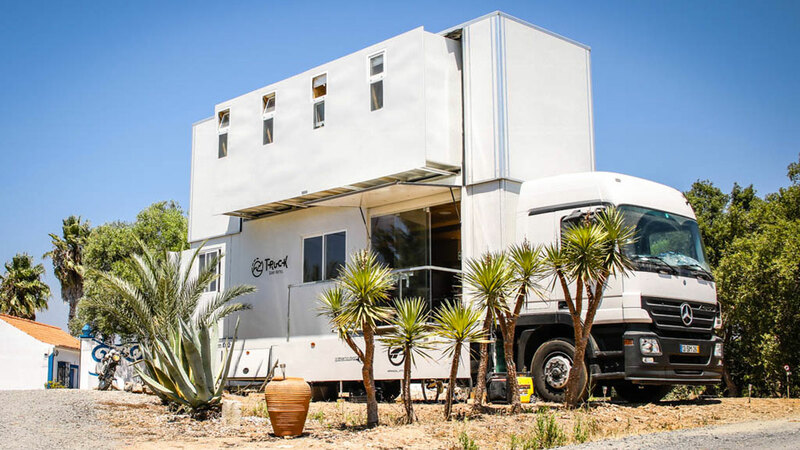 Daniela Carneiro and Eduardo Ribeiro had themselves been traveling by camper van for years when they came up with the idea for the Truck Surf Hotel. 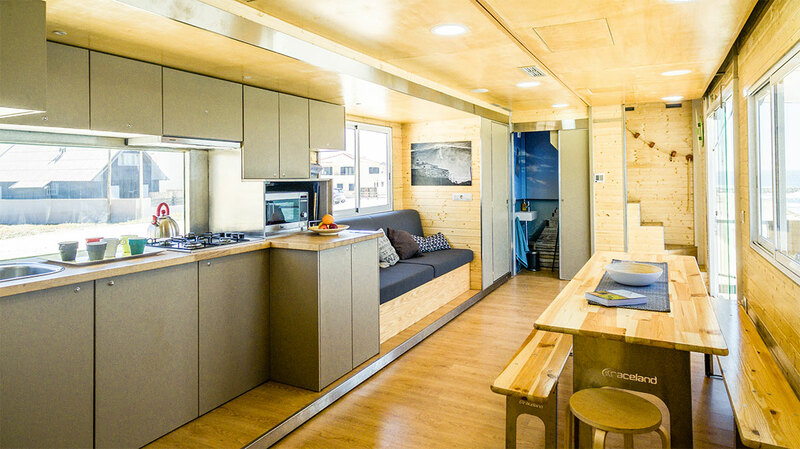 The supersized RV accommodates up to 10 guests, with 5 bedrooms on its upper deck, and a kitchen, full bathroom, and living area on the main level. 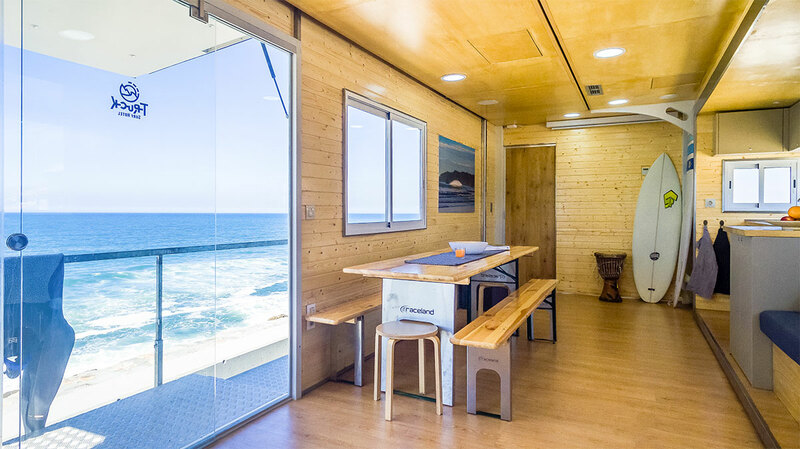 With Carneiro and Ribeiro at the helm, the Truck Surf Hotel shuttles guests to uncrowded surf spots, natural parks and mountains, and cultural centers of Portugal and Morocco. Ribeiro will be your surf guide, offering lessons and tours in addition to transportation and hospitality. Truck Surf Hotel packages include options for complete beginners and advanced surfers who just want the mobile motel's knowledge and access to killer locations. The truck itself is a converted Mercedes Actros. 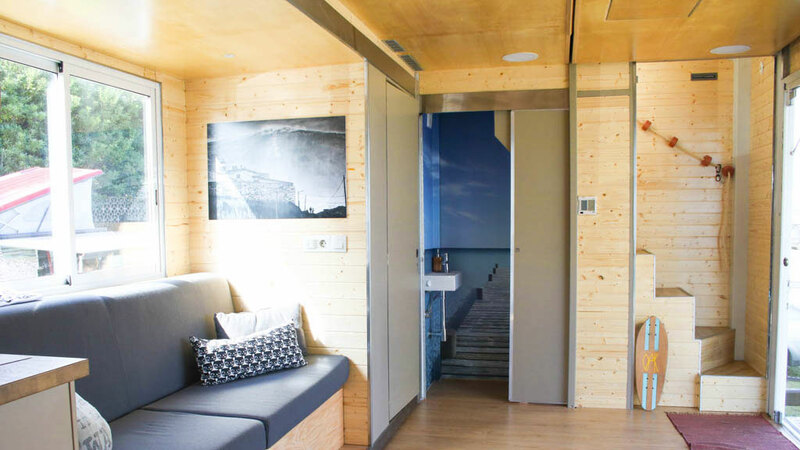 It has a hydraulic system that enables its walls and ceilings to expand into a big ol' B&B. 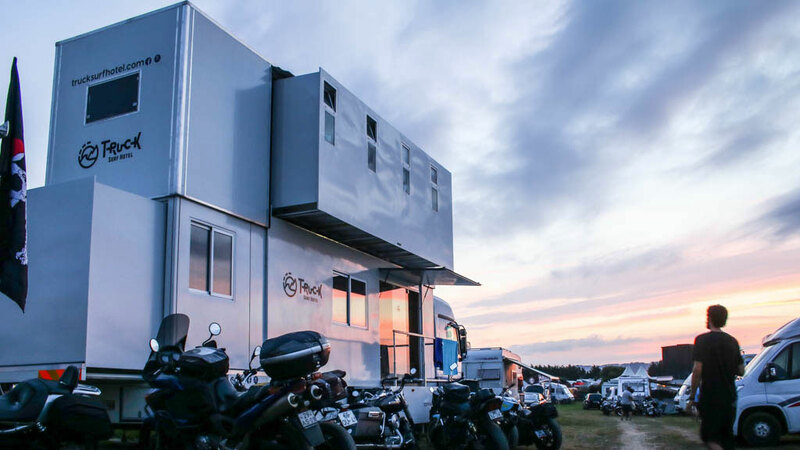 Stays on the Truck Surf Hotel include prepared breakfasts each morning, and access to the kitchen for self-preparation of other snacks and meals. Pricing for a week on the Truck Surf Hotel varies from $600 to $900 per person, depending on the trip and the season.